control and oral motor skills for all ages. This is the GroovTube. This hardware has been specially developed for this application, and consists of an input device which connects wirelessly to the iPad. 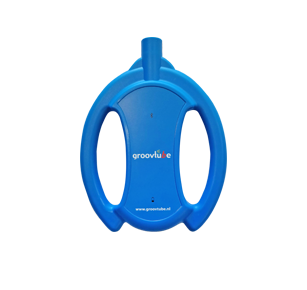 The GroovTube connects wirelessly to the iPad using Bluetooth Smart. There are several apps available for free in the App Store, with many features and levels to train breathing techniques. to exhale as long as possible."